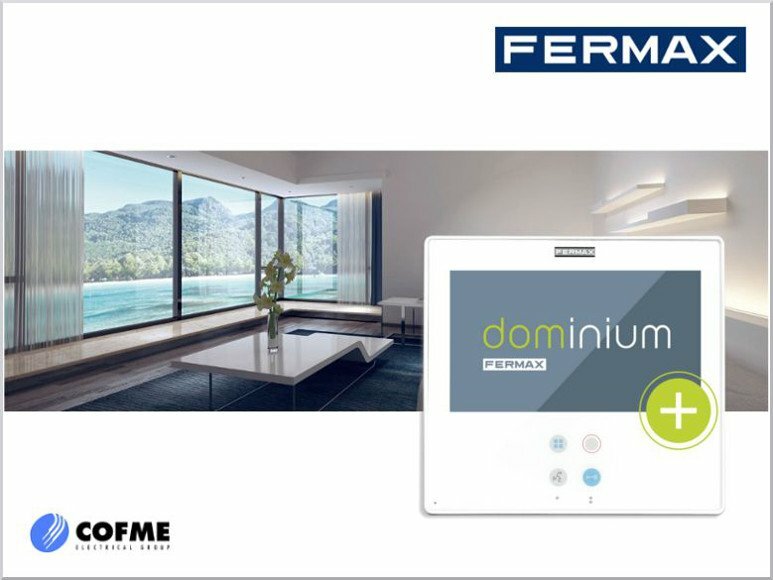 FERMAX, COFME Group’s specialist in Access Control Systems, launches the new Smile Touch Dominium terminal on the market, from which both video door entry phone and a home automation system can be controlled. The technology becomes simple with this sleek, touchscreen, easy-to-use terminal that uses a language we’ve all learned from any of our mobile devices. However, this does not detract it from the versatility of incorporating applications ranging from alarm and heating control to blinds, lights, irrigation, awnings, etc. Very simple use, easy integration of home automation system in residences through the familiar video door entry system, can be installed independently of the rest of the community of neighbors, compatible with the best home automation technologies, such as BUSing and KNX and a surprising price are some of the advantages of Smile Touch Dominium. No less important is the opening of the home automation sector to installers, who see their business area increased through this new product. The COFME Group consists of eight Spanish leading manufacturers in the field of electrical equipment: APOLO, DAISALUX, EGI, FERMAX, SACI, SALICRU, SODECA and SOFAMEL. Эта запись была опубликована Новости от наших компаний. Добавить в закладки ссылку. SALICRU: excellence in the new range of frequency converters Controlvit.